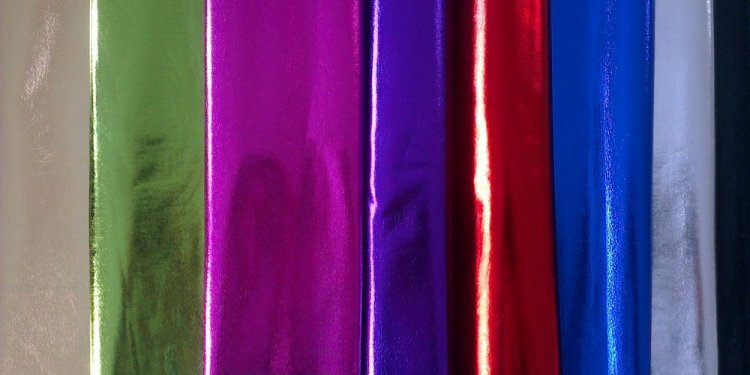 Spandex (also known as lycra or elastane) is a polyester-polyurethane co-polymer that was invented in 1958 by chemist Joseph Shivers at DuPont's laboratory in Virginia, USA. It is lightweight, strong, very elastic and non-absorbent to water and oils. It is stronger and more durable than rubber and it always reverts to its original form after stretching. It is usually blended with natural fibres, but it can also be mixed with nylon. Spandex is used to make garments where a lot of permanent elasticity is required, e.g. in tights, sportswear, swimwear and corsetry. It is used in garments that are intended to cling to the body, while at the same time remaining comfortable. For this type of garment 15 - 40% spandex is used. In woven or knitted fabrics 2% spandex is enough to enable garments to retain their shape. The chlorine in swimming pools can harm a swimsuit's elasticity and cause the fabric to yellow. Also, chemicals from sun lotion, sand, salt, perspiration etc react with the elasticity of the spandex fibres causing them to stretch, so cleaning your swimming costume or trunks as soon as possible after wearing them is necessary. Your swimsuit should be rinsed in cool, tap water after each time you wear it whether for swimming or sunbathing. If you have time, allow the garment to soak for 30 minutes. You then need to wash your swimsuit (following the instructions above) as plain water does not remove all the contaminants. If you are a frequent swimmer, choose a well-made, generally more expensive suit that should last longer. If you swim a lot, think about alternating swimsuits - giving your suit 24 hours of rest between wearing will help the spandex yarn regain its shape. To avoid snagging be careful about where you sit as a lot of pool sides have a rough non-slip surface – try to sit or lay on a towel. Sunbathe first, then swim. If you plan to sunbathe after swimming, change into a clean, dry suit. The combination of chlorine, perspiration and sun lotions is very damaging to the fabric.